The invention of zero is often attributed to the Indians. Now the question naturally arises – how can zero be invented if we know it signifies nothingness? Well, zero was more of a conceptual embodiment that alluded to ‘nothingness’, even when used in mathematics. But the Indians were the first to treat zero as a digit (i.e., a number) and thus demonstrated its use in numerical calculations. This pretty much changed the course of the history of mathematics and so is rightly considered as one of the significant breakthroughs in the field. 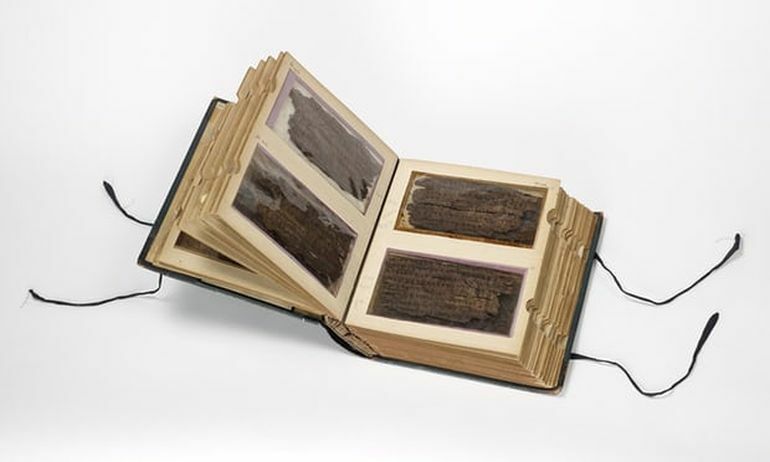 And this incredible scope can be traced back to the Bakhshali manuscript, a Sanskrit-written document inscribed on 70 pieces of birch bark, dating from 3rd-4th century AD. Boasting hundreds of zero origin symbols, the Bakhshali manuscript (currently kept in Britain since 1902) was discovered in 1881, buried in a field in a village called Bakhshali, near Peshawar, present-day Pakistan. And after translations followed, it was determined that the manuscript was composed as a sort-of training manual for merchants operating along the Silk Route. Suffice it to say, the ancient document comprises specimens of practical arithmetics (that helped the merchants in their dealings), and these were complemented by proto-algebraic examples. Notice the ‘zero’ dot in the last line of the text. Now as for the zero origin symbols in the Bakhshali manuscript, it should be noted that these zeroes are denoted by placeholders in a number system, as opposed to their use as a true number. Other ancient cultures like the Babylonians and Mayans also used their own form of placeholders for the ambit of ‘nothingness’. However, in the case of this Sanskrit-written document, the placeholder used for the zero pertains to a dot, and it was this dot symbol that ultimately evolved into the hollow zero symbol we are familiar with today. Additionally, the Bakhshali manuscript probably puts forth the earliest known notion of zero being used as a number, which was soundly demonstrated by Indian astronomer and mathematician Brahmagupta, in a text called Brahmasphutasiddhanta, dating from circa 628 AD. And interestingly enough, the very word ‘zero’ also has its etymological roots in Sanskrit. How so? Well, zero comes from Venetian zevero, a form of Italian zefiro. This, in turn, is derived via pre-Islamic Arabic ṣafira or ṣifr (cipher) – which ultimately comes from ‘sunya‘ in Sanskrit (meaning ’emptiness’). This becomes the birth of the concept of zero in its own right and this is a total revolution that happens out of India. This is coming out of a culture that is quite happy to conceive of the void, to conceive of the infinite. That is exciting to recognize that culture is important in making big mathematical breakthroughs. The Europeans, even when it was introduced to them, were like ‘Why would we need a number for nothing? It’s a very abstract leap. 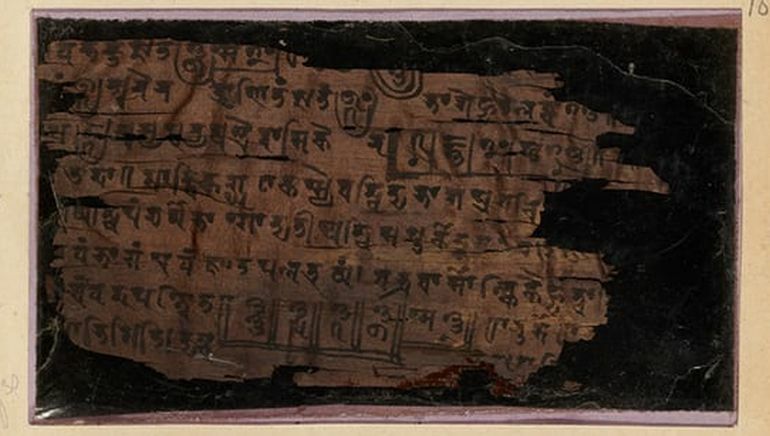 And lastly, like many a renowned historical document, the Bakhshali manuscript has its own legacy of mysteries. To that end, in this latest study, researchers at Oxford acquired three samples from the document and had them analyzed at the Oxford Radiocarbon Accelerator Unit. And interestingly enough, the three samples were found to be dated from different time periods, with the first one dating from circa 224-383 AD, the second one dating from circa 680-779 AD and the last one dating from circa 885-993 AD. So, in other words, it can be hypothesized that the pages were compiled (and packaged) over a period of many epochs – which, in turn, suggests that the Bakhshali manuscript was the work of various Indian scribes and mathematicians from altogether different generations. 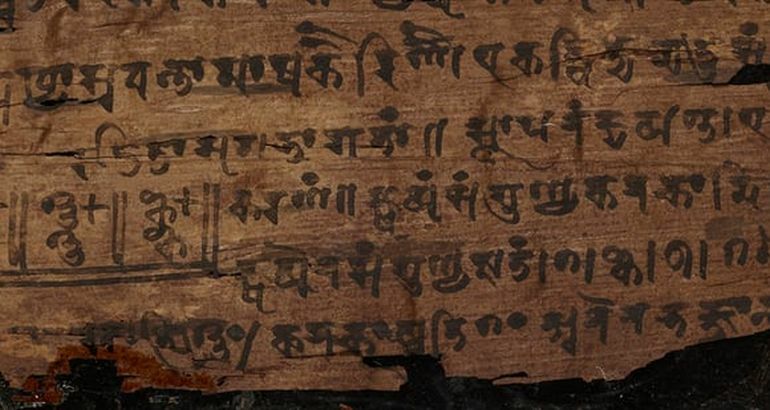 The Bakhshali manuscript will be displayed on 4 October, as part of the fascinating exhibition, Illuminating India: 5000 Years of Science and Innovation, at the Science Museum in London.